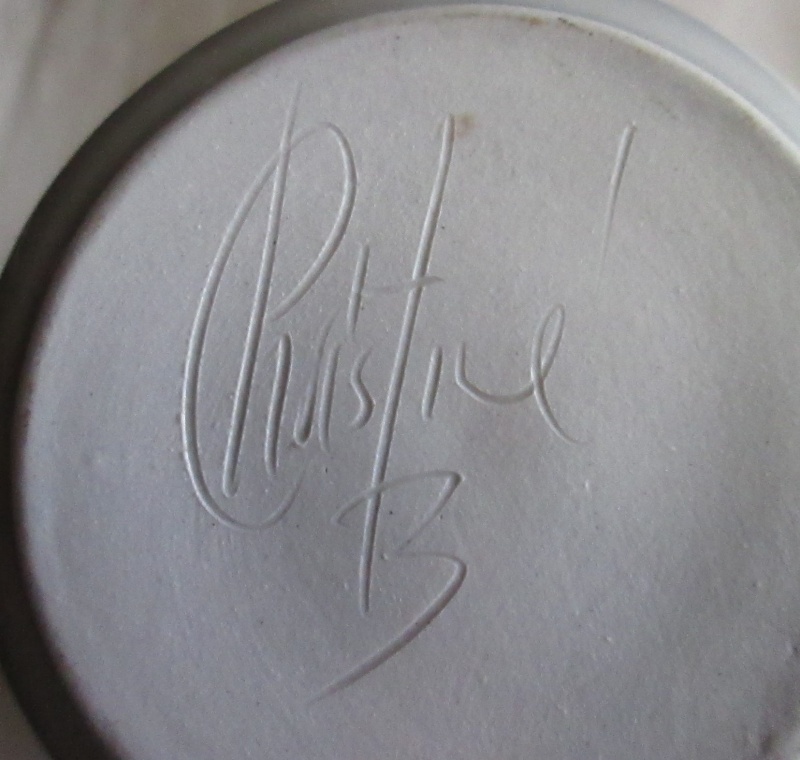 I found a Christine Boswijk jug ! I think this may be quite an early piece by Christine, made of red (Mahana?) 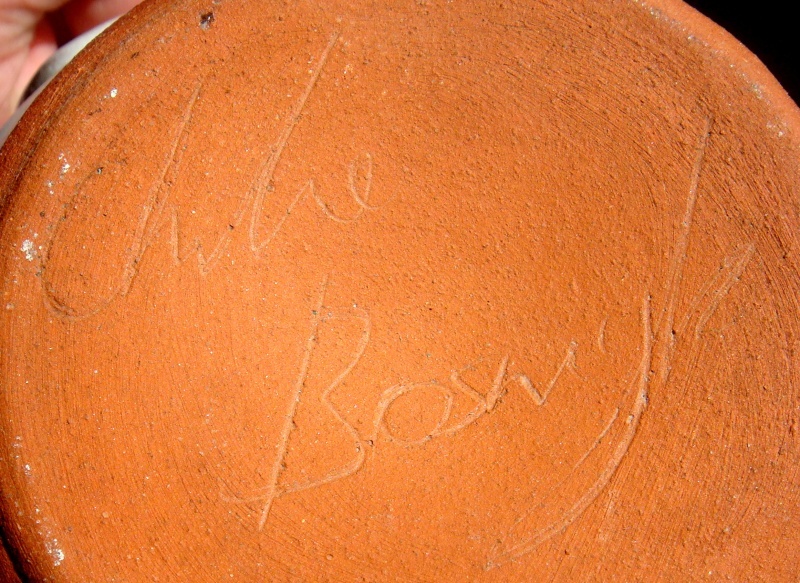 clay. 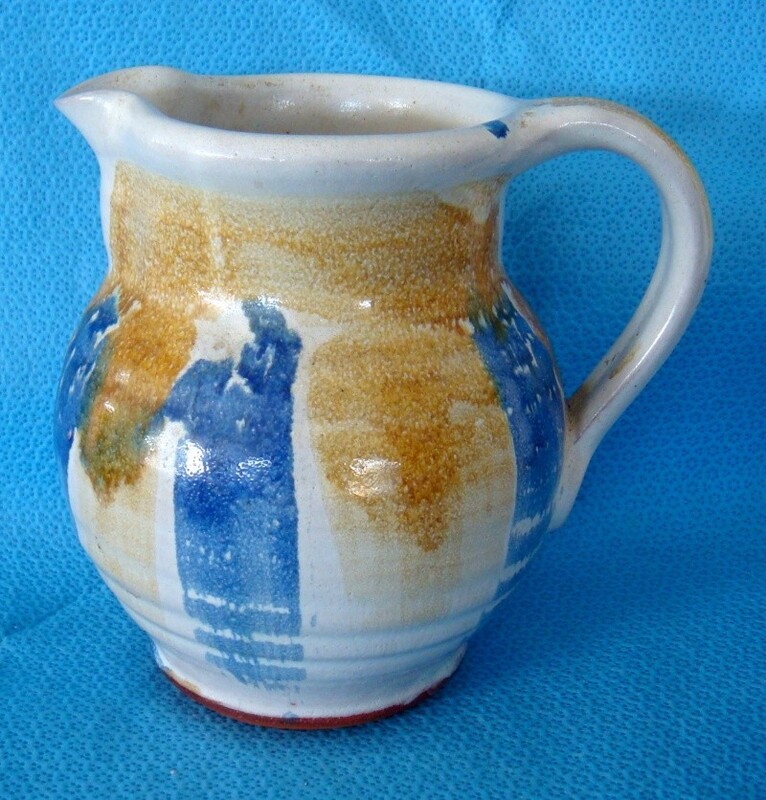 Good and chunky, it feels like it was made before pottery became as thin as it is these days. 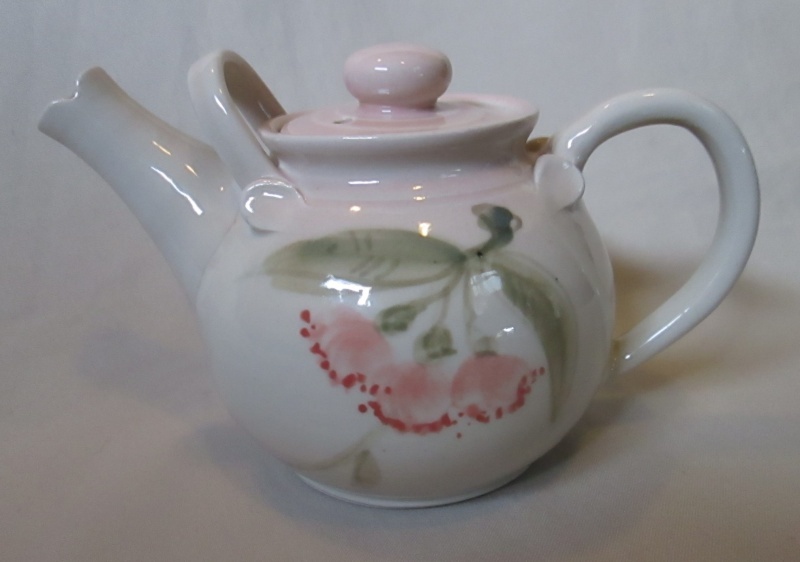 Pretty 2 cup teapot marked Christine B...I like the way the Spout & handles are finished & assume this was made in the '90's with this Pink colourway.